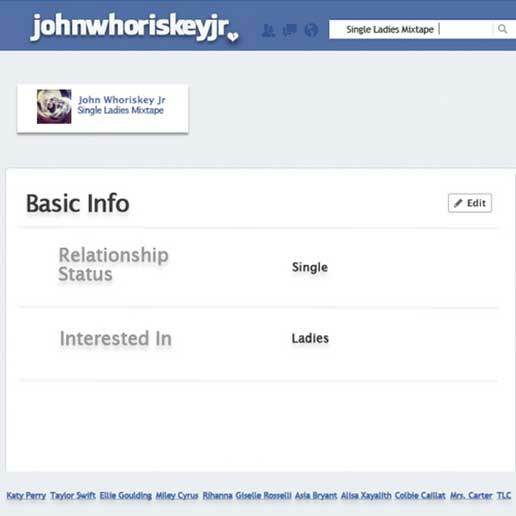 Mass Hip Hop: Mixtape: John Whoriskey, Jr. "Single Ladies"
Mixtape: John Whoriskey, Jr. "Single Ladies"
Check out Boston hip-hop artist, John Whoriskey, Jr.'s second mixtape Single Ladies. The concept behind the album equates to each track being derived through the music of pop stars, divas, ladies (single/married/it's complicated), independent women, etc. Creatively sampled female singers included Taylor Swift, Katy Perry, Ellie Goulding and more. Video: Waters "What's My Name"
Video: J. Lye and Ashley Sofia "If We Really Try"
MP3 Single: Kris Kapri & Kleef "The Realest"
Mixtape: Famous Nobodies: "Nobodies Nation"
Video: Mr. Fritz "Ric Flair"
Video: Ben Whyte "All Day In Lowell"